2016 is another leap year, so it's time to celebrate Frederic's "40th" birthday with our Pirates of Penzance singalong. Dress up like a rough and rowdy pirate, a bumbling British bobby, a modern Major-General, one of his bevy of beautiful daughters, or just a plain and simple 21st century Gilbert & Sullivan aficionado - whatever you choose. 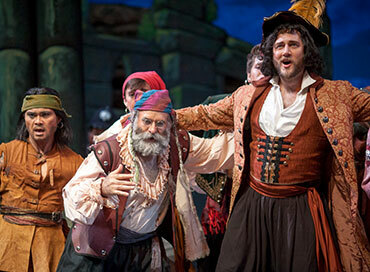 But however you dress, be there for an afternoon or evening of fun singing the score of Pirates with us!